I am super excited to have the amazing Kim Harrison by my side today! You probably know her for her Hollows series (Pale Demon being the latest release 02/22), but is also have a YA series, the Madison Avery series (the third book, Something Deadly this way Comes, will release 05/11)! Kim nicely made some room in her schedule to answer some of my questions, I hope you enjoy and welcome her warmly! This spring you'll be celebrating the release of Pale Demon (Adult) and Something Deadly This Way Comes (YA), considering your audience, how does your marketing approach differs? The marketing approaches are very different, more due to the publishers’ styles than me changing what I’m doing. 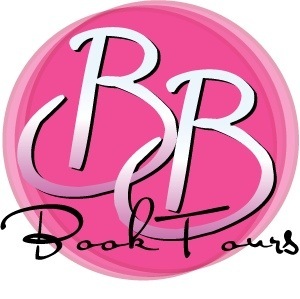 I will be doing the same things I always do: updating my website, talking to readers on FB and my drama box/blog, creating freebies to give away so readers I’ve already hooked will show their new treasures off and hopefully hook new readers. I’ve been seeing an increase of internet outreach on both sides of the adult/YA coin, with YA concentrating on trying to get the YA audience to come to them at a centralized website geared toward attracting a YA reader from where they can promote, and the adult approach seeming to be more slanted to bringing new content to already established points of contact. Both styles work, but the important thing is that the reader knows where to go to find information. Now that you have plenty of books "under your belt", is the excitement for a release much different than for your first published book? Pale Demon is the ninth book in your Hollows series, did you ever dream of writing so many books in that series when you first started? I did not. I like to tell people that the Hollows is the longest short story that I’ve ever written, because that is exactly how it started, years before I found publication. Having been granted the space and time to develop my characters and world as slowly as I wanted, without the urgency of seeing an end to the series before I was ready, has been one of the greatest gifts that I’ve ever received, and I have enjoyed every year working with these characters, seeing them, and my writing, grow. I know you've been contracted for more Hollows books, but what about your Madison Avery series? As it sits, I have decided to end the Hollows at 12-13. (I just finished the rough draft for book 11). The story arc is closing naturally, and this time, I’m going to let it. Rachel wants her happy ending, and, as a writer, I’m longing to try writing in a different way, and that’s something that I can’t do within the framework of the Hollows. As for the Madison series? My YA editor hasn’t told me one way or another if she would like more, but I’ve already decided that the series will end at three. I'm betting you receive a ton of fan mail, do you remember an y that were particularly touching or weird? If I could grant you any wish, what would you wish for? Thank you very much Kim for taking the time to stop by <3 It’s greatly appreciated! the first book in The Hollows series is free for kindle right now! Or if you’re up to date…. Now thanks to Harper Collins Canada, I have a complete set of Madison Avery books to offer you! My favorite book is probably Dead Witch Walking - just because it builds the world of the Hollows. Thanks for the giveaway and great interview!! I love Pale Demon but the ending left me guessing to what is going to happen to Rachel and her demon powers. I LOVE Kim Harrison! The Hollows series is so fun! I love Rachel Morgan, Ivy, Jenks, Trent...the whole crew! She was the first author I've ever been to a book signing for and it was awesome. She is the best :D I haven't had a chance to read her YA series so this would be a FABULOUS opportunity for me! I loved Dead Witch Walking and now want to read the rest of the Rachel Morgan series. I actually met Kim last weekend at a book signing for her new book Pale Demon, so now I really have to catch up. I'm in the US and would love your first two you are giving away since I haven't read this series. I think it sounds interesting that she writes her two series for different audiences. I haven't read any of them, but I'd start at the first book for either series. Oh! Would love to win this one because well, I've never read any of her books, but I keep seeing awesome reviews for them around the blogosphere! I haven't had the chance to read any of Kim's books. I would really like to because I have heard so many great things about them. I have to thank you for showcasing KH! The Hollows is one of the best UF series, ever! I haven't read any of Kim's books yet. I would love to read them, they sound very good. I love both the Hollows and Madison Avery series.Its hard to pick just one book. I will pick Black Magic Sanction as my favorite.I hear Pale Demon is awesome too so I can't wait to read that. I tweeted as well! I'm Canadian! I haven't read her books yet but I do have the first book in the Hollow series waiting on my shelf. I have been told I must read her books so I am anxious to read them. I haven't read any of Kim's books yet, but do have her Hallows series on my TBR list, so thanks to this interview, I now also have her Madison Avery series added on to the list! I want to read this series because the paranormal and mysterious aspect really intrigues me as I love reading in this genre in adult and YA books. Thanks for the opportunity to win a copy! I enjoyed Early to Death, Early to Rise but I don't own any of the Madison Avery (yay library) so I would love to be entered for a chance to have the complete collection. I think it's a great clean fun series. I also recently got Pale Demon but haven't had a chance to read it yet. I'm from Portugal! And one of Kim's books has just been translated and edited here, and I saw it in the bookstore (but I don't really buy books in Portuguese cause they're SO expensive) and the blurb really caught my eye. I really enjoyed Dead Witch Walking and it is still my favorite. The title is what caught my attention, and when I started reading it I knew I had found a new author. I want to start reading them because they look and sound fantastic! I am from the USA. I can't pick a favourite out of Kim's books! There isn't one that I don't like! (though I will say that I love just a teeny bit more than all of the others, the earlier books when Rachel and Nick were together- before he became a booger, that is). Thanks again for the amazing giveaway! I have heard some of the most amazing things about Kim Harrison's series but have yet to read them...you see once I start a series I won't stop until I finsh it. I HAVE to know how it ends or at least as far as possible. Then if a new book comes out in a series I have already read I want to get it so I know what happens. It is so hard to start new series. But Kim's are right at the top for when I get a break off of work and between new releases of exsisting series! My favorite Kim Harrison books are the Madison Avery ones because as far as I know they're the only YA ones. Plus the covers are pretty! These books have been on my TBR pile forever but I haven't got around to buying them. Thanks for the great giveaway!! I love the Hollow series! Can't pick just one book out of them! Thanks for the chance to win the Madison Avery books, been wanting to start this series for awhile now! I have not read anything by her but it seems pretty interesting. I love being introduced to new authors especially ones that write series. I want to start reading her books. I have been hearing good things. I could get into this kind of series. AWesome interview with Kim Harrison! Thank you for sharing Tynga and for this amazing opportunity! Love that you made it Canada only haha It is RARE! Count me in! I love all Kim Harrison's novels, both the Hollows and the Madison series have such a new take on an old concept. My favourite book of hers is The Outlaw Demons Wails. I'm from czech republic. My favourite book from Kim is Good, bad and unded because of Trent and Kisten. I love them:D I thik, that her second serie will be as great as Rachel Morgam serie. Kim Harrison ROCKS!!!!!! I love Dead Witch Walking and can't wait to read Pale Demon. I'm from the US. I'd love to win the first two! They're on my wishlist but I always end uo buying the latest releases, sigh. Ohhh this is amazing!!! I haven't read this series yet! Woot to being open to Canadians I love it! I have yet to read her books, but they are on my TBR list. I love reading paranormal books and the fact that Madison is dead, is a pretty different. I can't wait to read it! Thanks so much! I adore Kim Harrison's Rachel Morgan series. I just finished Pale Demon last week and it's my favorite of the series so far. After reading so very many paranormal/urban fantasy books, it's amazing to find an author who truly brings a better story to the literary world with every book she writes. I have wanted to read her other series and winning would help since I don't own them yet! And on a side note... I can't WAIT to see what goes on with Trent next. He's been jumping ahead of other characters to race for my favorite spot for a couple books now. I really want to read this series because I feel like everyone has read her books and im the only person that I know of all my book friends and I feel left out when they start to talk about it, and I have to leave because they are going to tell me the whole story! I want to read them because I've heard they're really good and the look amazing. I read Once Dead, Twice Shy and loved it! And Barnabas ;D And I'm waiting to get my hands on the first book of The Hollows also, it sounds awesome. Please don't enter me for this. I just want to say, I aboslutely LOVE the Hollows series and my copy of Pale Demon just arrived in the mail a few days ago. When I ordered it online I couldn't wait for it to come. Kim Harrison is a phenomenal writer, with well developed characters that draw you deep into the story and make you want to keep reading until the book is finished. I haven't read the YA books, but would expect a similar experience. Thanks. I absolutely love the Hollows so its so hard to choose just one! It seems the books are getting better and better so lets hope Pale Demon lives up to expectation. 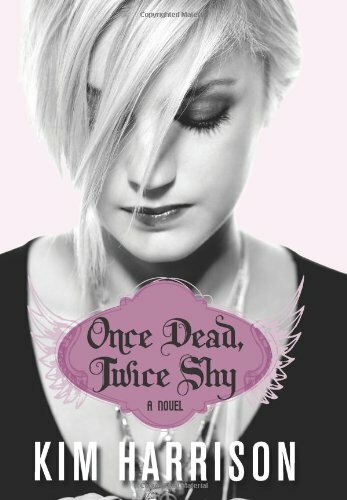 I read Once Dead, Twice Shy recently and I can't wait to read the rest of the series. This is the only book I have read of hers yet, so it is my favourite, but I will be reading more soon. Kim Harrison is my author love! The Hollows series is my FAVORITE series. I couldn't possibly choose a favorite so I'll say that I LOVED her newest, Pale Demon. It was a hit!!! Wow, how did I miss this interview? *slaps forehead* Kim Harrison is one of my favorite authors ever, I love The Hollows series! In fact, I love her writing style, so she could write about anything, really, I'd still read it. I tweeted about the contest, it's too awesome! I just love the ideas created by Kim Harrison. The Hollows series is the first I've ever heard of her and it was all good, but I could never find the books :( I'm keeping my fingers crossed for this chance. Thank you so much for the giveaway :) It's awesome! I love her books, specifically the first ones from each series. I like to win this books because there look very interestig, the kind of book I'll read. I'm from Mexico, but have a frien in the US that let me give her adrees for book or thigs I buy in the us. I'd love to read one of these books (or all of them). :> I live in the US. Pale Demon is by far my favorite! I live in the U.S., & would love to win the first two Madison books. I've read everything Kim Harrison has written under said name, but only one the Hollows books. P.S. Because of the "said name" comment I'm clarifying, her books published under the pen name "Dawn Cook" are pretty high up on my to read list. I have actually never read any of Kims books although the Madison Avery series sounds to die for. The idea that she is a grim reaper is just too cool and i'm looking forward to reading them! I haven't read Kim's books before but I'd love a chance to start! I'm a fan of UF. I'm from the US. I'd love to start reading Kim's books because I've heard from so many people how great they are. These books sound really cool. I've heard fantastic things about them, but I've just never gotten around to reading them! Thanks so much for generously offering up your own copies! I really like the covers of this series and her haircut! Also, she looks like one of my fave singers, Robyn! Haha so random but sometimes I do judge a book by its cover! 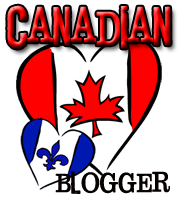 I'm from Canada and proud of it! I'm not very familiar with supernatural books, but I've heard so much about Kim that I'd love to start reading the genre. I'm INT. I just love the titles of these books... I've been getting into more paranormal/UF books lately, so it would be awesome to check these out. I enjoyed Dead Witch Walking and trying to catch up on the series. Haven't read any Madison books yet but they sound really interesting. Oooh, deciding on a favorite is tough... I think it might be Once Dead, Twice Shy. I really loved that book. And I read it around the time a friend of mine was dying so it was...reading about reapers, etc was interesting to say the least. I have not read her YA series but her Rachel Morgan books ROCK. Pale Demon is my fave to date. My favourite Kim Harrison book is A Fistful of Charms. Thanks for running this contest. The first three books in the Hollows series are special to us because my husband and I had discovered her, and that was all that was out at the time. We had just read the first one and found out she was coming to a book convention near us, so we got to meet her and get our books signed. They will always have a special place for us, because it was near the beginning of what she has now become!